We’re hosting our own event! 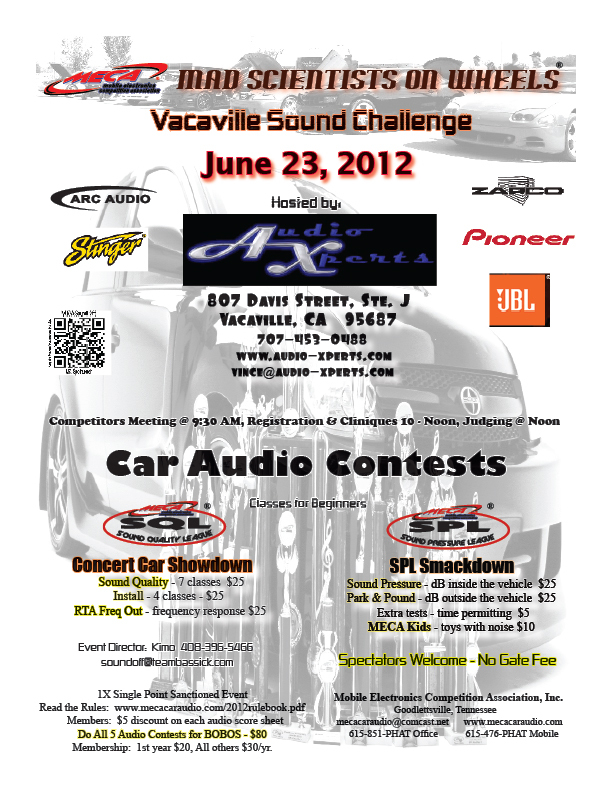 To kick things off this summer, Audio Xperts will be hosting an officlal MECA car audio contest Saturday June 23rd here at our shop! 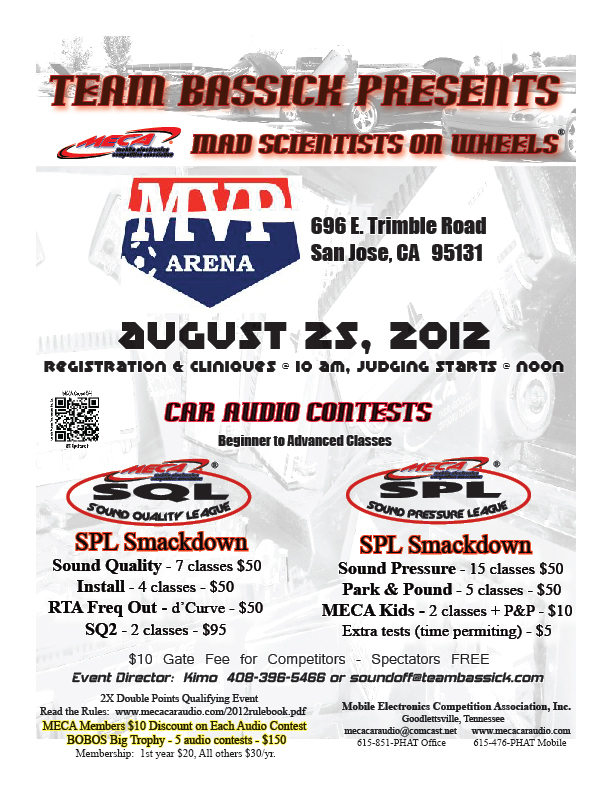 It will be a 1X single point event with SQL and SPL competitions, so bring your cars, friends and family and let’s have a good time! And don’t forget to check out our brand new website! Access to all of our social networks, like Facebook, etc. Sections filled with tutorials and comprehensive information for categories such as audio, video, remote start, security systems, GPS navigation, iPod/mp3 integration, satellite radio, HD radio, bluetooth, window tinting, radar detectors, factory stereo add ons, vehicle tracking, and rear view cameras. All photo galleries, and now videos too! Online radio listeners at an all-time high! Recent research by Edison and RAIN show that 50% more of U.S. adults and teens are now listening to online radio streamed in their cars. This increase means that an estimated 76 million Americans aged 12 and over are listening to online radio from both their cellphones and in their own vehicles. Enjoy the ability to easily stream your favorite music with one of our many systems in stock now! We are carrying JVC, Pioneer, and Alpine systems starting at $159! Call us for details! New e-store coupon and chance to win $100! Want an additional 10% off our Bass Packages? All you have to do is enter code “PKG1211” in the coupon code field in the online shopping cart and you get an ADDITIONAL 10% off the SALE price! Receive an ADDITIONAL 10% off the SALE price! Don’t miss out, for this deal expires December 31, 2011 & quantities are limited! Have a Happy Holidays! A chance to win a $100 in-store credit! 3. Look out January 1st for the results! 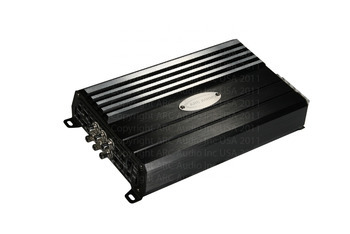 Arc Audio XDi 805 720 watt 5 channel amp. This little guy delivers impressive sound quality and power output in a very small footprint. – Hi Frequency switching power supply allows for greater separation from audible listening frequencies increasing sound quality and lowering THD. – Input inductor power supply isolation protects from unwanted interference with AM/FM reception. – Ultra Low ESR high capacity power supply storage bank covers potential fluctuations in power demand, increasing efficiency and sound quality of this chip based design. – Phillips Technology chip based Class D technology powers all multi channel XDi amplifiers. Producing little to no heat XDi amps are extremely flexiable in most any sound focused application. New JVC radios with Android control! 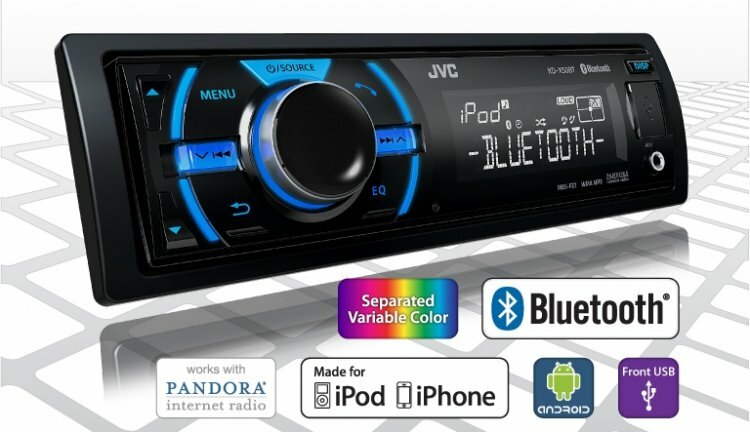 JVC just announced the upcoming release of its first CD-less radio decks, allowing for control with Google’s Android phones! Said to be released January 2012, these will be the first of its kind with a hard to beat price of $139. “JVC Mobile Entertainment is aggressively pushing Android control for 2012. The feature can be found on a pair of CD-less decks that ship next month at super low price points and other new car radios. The CD-less models are JVC’s first, and they will be joined by a third model to be unveiled at CES in January. The leader deck, KD-X40, will carry a $109.95 price, which JVC calls one of the most aggressive prices for the CD-less category. If you connect an Android phone to the USB port of the KD-X40, you can control the music with the track up/down, play and pause buttons on the deck and you see the songs tags on the radio display. The deck also controls iPod and iPhone functions (including Pandora) and the deck is Bluetooth ready. A step up model adds built-in Bluetooth which now lets you control Pandora streamed from an Android or BlackBerry smartphones. Plus there’s a new “gesture remote” feature. If you swipe the phone screen left or right you change track up/down. Trace a “V” or upside down “V” on the screen to change the source mode or the eq settings. JVC believes the feature is a first for the aftermarket at this point. The CD-less (mechless) radio, model KD-X50BT, will carry a $139 price tag. You still get full iPod and iPhone control as well. 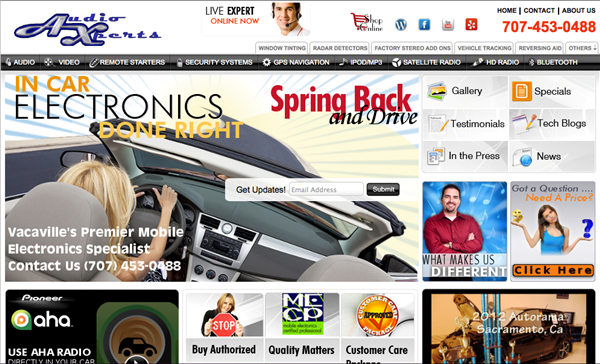 Some CD/radios for 2012 are also shipping this month and will also work with Android. A KD-R530 has the new USB Android control, and iPhone/iPod control with Pandora. It will be joined by two additional CD/radios with Android control that ship this month: the KD-R730 and the KD-A735BT. Also this month is a KD-A535 Arsenal version that adds 3 pre-outs, a remote and 2-year warranty. There’s also a KD-R330 entry level CD with aux-in, detachable face and wireless remote (but no USB and no iPhone/iPod control). Pricing will be announced shortly. Also new is a KW-AV50 AV/radio that works with the MotionX-GPS app for navigation. The app displays on the 6.1 inch WVGA screen. You also get USB iPod and iPhone control, 3 line outputs and a detachable screen plus optional Bluetooth. Want these updates sent to you? Just sign up for our online newsletter HERE! You will get our newsletters automatically in your inbox! Receive these updates in your inbox automatically by subscribing to our online newsletter. 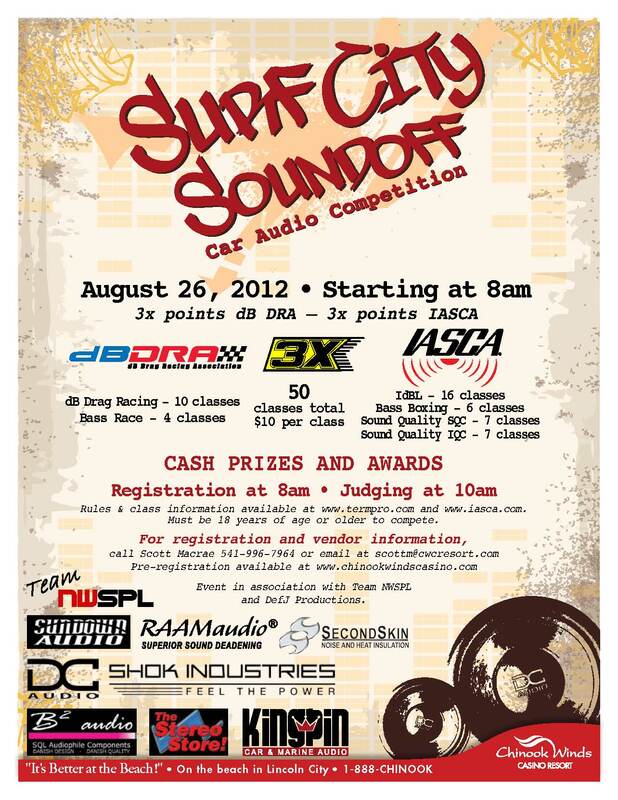 Just click HERE and you can stay updated on all things Audio Xperts! As the holidays come closer, the time spent with our family and friends becomes even more important. These celebrations only come around once a year, and with that being said, we’ll be closed on Thursday Nov. 24th for Thanksgiving and November 25th for Black Friday. We will reopen Saturday for regular business hours, so you can continue your holiday shopping! Have a Happy Thanksgiving and a Happy Holidays! Some of these cities are right in our own backyard! That’s why for the month of December we’re giving a 20% discount when you purchase an alarm system from us! Just mention that you read this post from our newsletter and that’s it! Just visit our online store! We offer layaway plans for any amount with no additional fees! Get a head start on your holiday shopping with Audio Xperts’ Layaway Plan! Subscribe to our online newsletter and get these updates and much more sent right to your email inbox! Get everything on your holiday shopping list! We now offer layaway payment plans through our online store! You can make any number of payments in increments of $10.00 USD on any of our products when you come into Audio Xperts. No finance charges and fees so you can do your holiday shopping early! Call store for details! VACAVILLE, CA (10.14.11) – Pioneer’s AVH-P3300BT can set the tone for any mobile audio installation. This stunning installation on a 2006 Harley Davidson Softail amplifies that point. 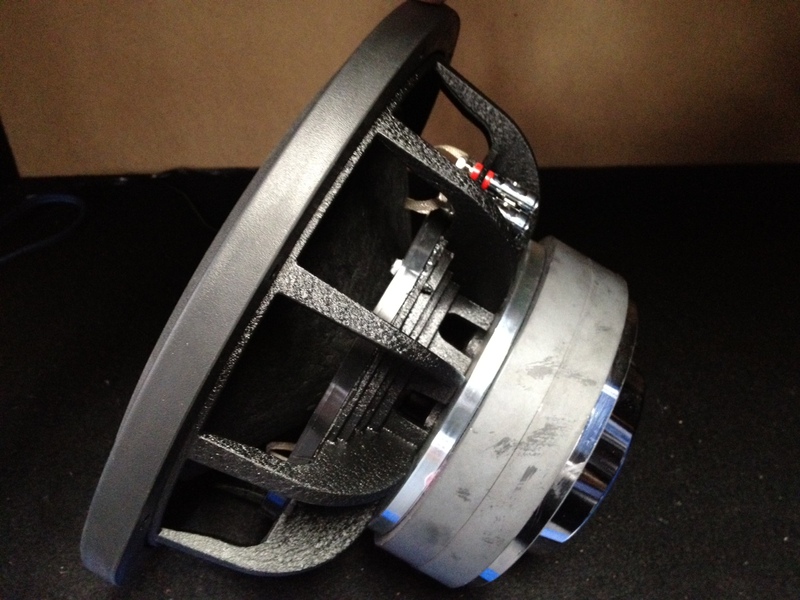 Audio Xperts in Vacaville CA, well known throughout the state of California for creating exceptional custom installations, integrated the P3300BT in the fairing their customer brought into their shop. 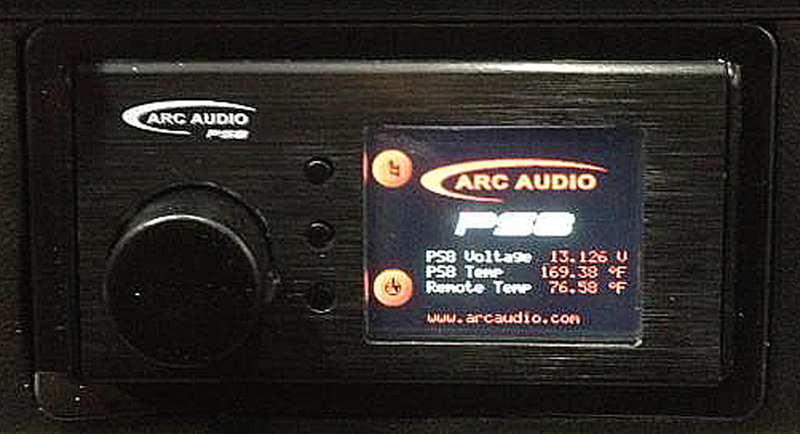 Staff at Audio Xperts fabricated a double DIN mounting system for the P3300BT. An invisible on/off switch was incorporated into the aftermarket Hoppne Quadzilla fairing beside the P3300BT. The fairing was then sent out to a local paint shop. “Our customer’s P3300BT installation puts all the controls right in front of him. Those in his club wish they had a Pioneer double DIN P3300BT as the heart of their systems” Miranda added. Watch the Pioneer Makes it Simple video series here. 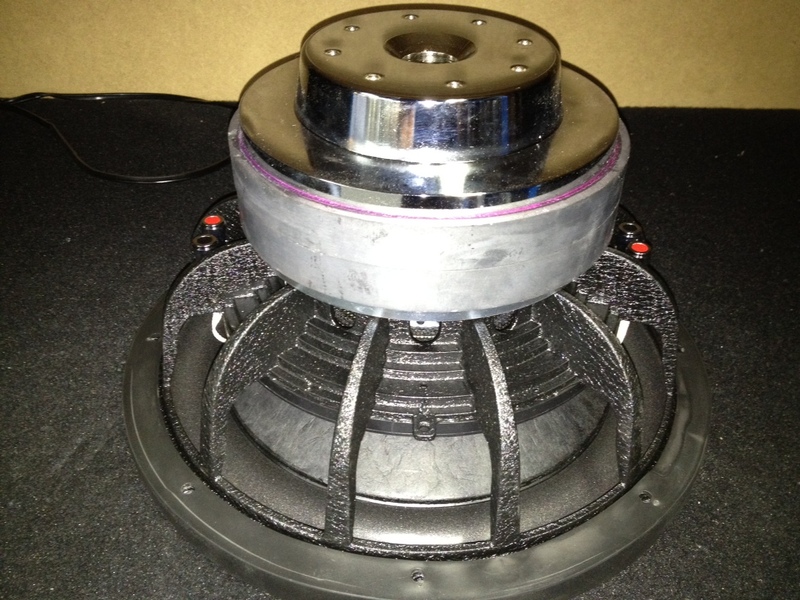 Hybrid Audio releases its new “Unity” speakers! Introducing Hybrid Audio‘s new component speakers at an incredible price: We now carry the Unity speakers for only $349.99! Stop by and check them out on display or in the Team Audio Xperts’ demo truck today! 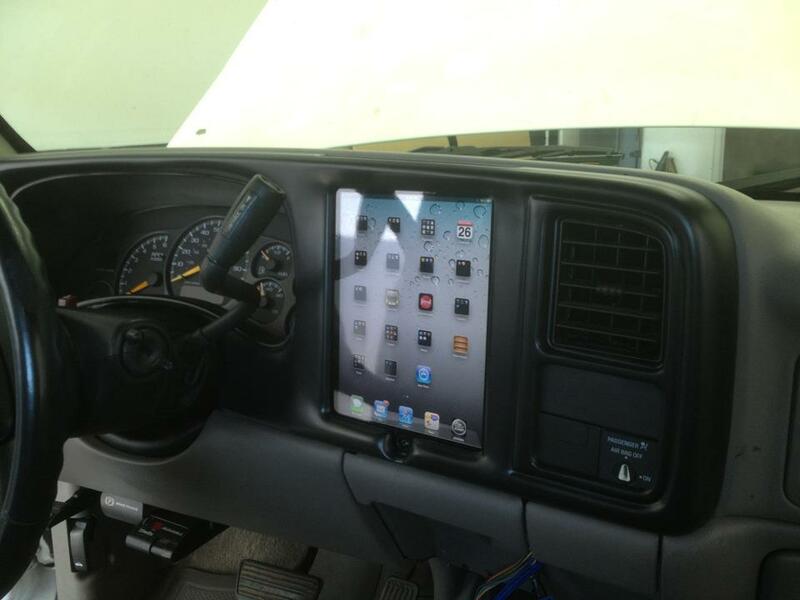 In addition to Smart Start, our demo truck also features a custom install equipped with an Apple iPad which you can view HERE! VIPER Smart Start GPS now in stock! We now offer the VIPER Smart Start GPS for only $299.99! It’s a great addition to any of your vehicles. Using the Smart Start app you can locate your car anywhere in the world and control multiple cars on one phone. Its a great gift for new drivers, allowing you to always know their whereabouts, and receive speed alerts when they are driving too fast. Stop by Audio Xperts and pick one up today! Please take a few moments and write us a review on our Yelp and Google pages. We appreciate all feedback, as it helps us improve to make sure you have the best customer experience when shopping with us!